Mere existence of a document like talaqnama, is not sufficient to render a valid Talaq. Justice M.S. Sonak held that, for a valid Talaq, it is not sufficient that the prescribed expressions are pronounced thrice but the stages it is preceded by, are required to be pleaded and proved before the Court, if disputed by wife, the Court held. The Bombay High Court in Shakil Ahmad Jalaluddin Shaikh vs. Vahida Shakil Shaikh has held that, mere existence of a document like talaqnama, is not sufficient to render a valid Talaq. Justice M.S. Sonak held that, for a valid Talaq, it is not sufficient that the prescribed expressions are pronounced thrice but the stages it is preceded by, are required to be pleaded and proved before the Court, if disputed by wife. In this case a Muslim wife's application under Section 125 CrPC was dismissed by Magistrate and by exercising revisional Jurisdiction, the Sessions Court had allowed it. The Husband challenged this order of Sessions court before the High Court contending that he had validly divorced his wife and thereafter in terms of the provisions contained in Muslim Women (Protection of Rights of Divorce) Act, 1986, there was no obligation on his part to give any maintenance to the wife beyond the Iddat period. Mere existence of this document does not make the Talaq valid or legal and, therefore, it is necessary that the factum of Talaq and the stages it is preceded by, are required to be proved before the Court, if disputed by the wife and mere intentions of the husband while making such a statement before the Court cannot be accepted to be a valid Talaq from the date such a statement was made before the Court and in any form. The factum of conciliation or arbitration is also one of the conditions preceding the process of Talaq in any of these forms namely "Ahsan" and "Hasan". 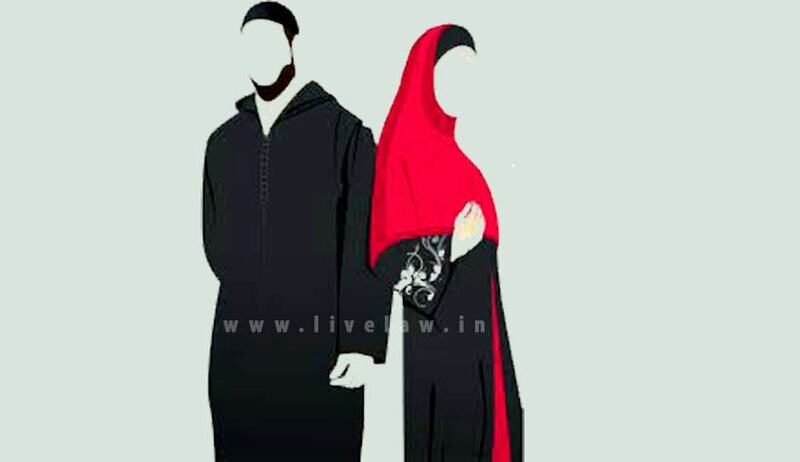 Husband has to set out before the Court the reasons for such a divorce and whether he had sought the help of arbitrators for reconciliation at any time before the wife approached the Court before he filed his written statement or before he appeared in the witness box to take such a plea of Talaq. Talaq should be duly proved and it is further proved that it was given by following the conditions precedent viz. that of arbitration/ reconciliation and for valid reasons and more so when the mode of divorce alleged to have been given in the "Ahsan" or "Hasan" form. The factum of divorce is required to be proved, including the conditions precedent therefor, by evidence both oral and documentary, when the same is disputed by the wife before a competent Court. Applying the principles laid down by Full Bench, the Court held that in case the pre-condition with regard to the arbitration and reconciliation have not at all been established and there are neither any pleadings nor is there any material to establish that any arbiters or conciliators were at all appointed and that such arbiters or conciliators attempted any reconciliation, with a view to explore the possibility of the continuance. The Court upheld the Sessions Court order granting maintenance to wife holding that mere existence of a document like talaqnama, is not sufficient to render a valid Talaq.